All film forming foams, such as aqueous film forming foams (AFFFs) and film forming fluoroproteins, are required to form a film during the annual quality testing. The film is an extra barrier of protection in addition to the foam blanket that is designed to form when using these products. It involves a fluorosurfactant aqueous layer forming on top of the fuel to separate the fuel from the ignition source (videos of this phenomenon can be seen at dyneusa.com/videos). In contrast, non-film forming foams, such as standard proteins, solely rely on their foam blanket to smother the fire. Since film forming foam was designed, tested, and listed with this film formation in mind, it is required to demonstrate this same level of performance during the periodical testing. Film-Forming Foam. A concentrate that when mixed at its nominal use concentration will form an aqueous film on hydrocarbon fuels. The hydrocarbon fuel typically used as a minimum benchmark for film formation is cyclohexane. This definition gave no clear requirements on how to determine film formation other than cyclohexane most likely being used as the fuel. For years, Dyne chose to check the film formation on film forming foams by applying foam solution onto cyclohexane and then holding an ignition source near the fuel to check for fuel ignition. Those foams that passed were able to cover the test surface in a defined amount of time. Those that failed did not cover the testing surface, and the cyclohexane ignited. While this test was able to separate out varying degrees of film formation, there were debates in the foam testing industry as to how big the testing surface should be and how much foam solution should be supplied among various other specifics. Film Formation. A property of aqueous film-forming foams and film-forming fluoroproteins characterized by a positive (>0.0 dynes/cm) spreading coefficient when measured according to ASTM D 1331 using cyclohexane as the hydrocarbon substrate and distilled water to make the foam solution. Dyne adopted this new definition during the document’s approval phase back in June of 2015 at no additional cost to the customer despite the added test. At that time, Dyne began performing the necessary tests to determine the spreading coefficient values on all foams that failed the previous film formation test. The spreading coefficient test is not conducted on foams that form a film under the old test as they must have a positive spreading coefficient to do so. However, foams that did not readily form a film on cyclohexane under the old method were now subject to an additional test before determining the overall film formation result. Foams with positive spreading coefficients still received a pass as defined by NFPA 11: 2016 Edition. Foams with a negative spreading coefficient failed the film forming requirement. Figure 1: A passing film formation result in the old reporting format. Figure 2: A failing film formation with passing spreading coefficient result in the old reporting format. Figure 3: A passing film formation result in the new reporting format. Figure 4: A failing film formation with passing spreading coefficient result in the new reporting format. If you have questions with this reporting change or the how the results relate to foam performance, feel free to contact a chemist at Dyne. We would be happy to have a discussion with you about your questions or concerns. 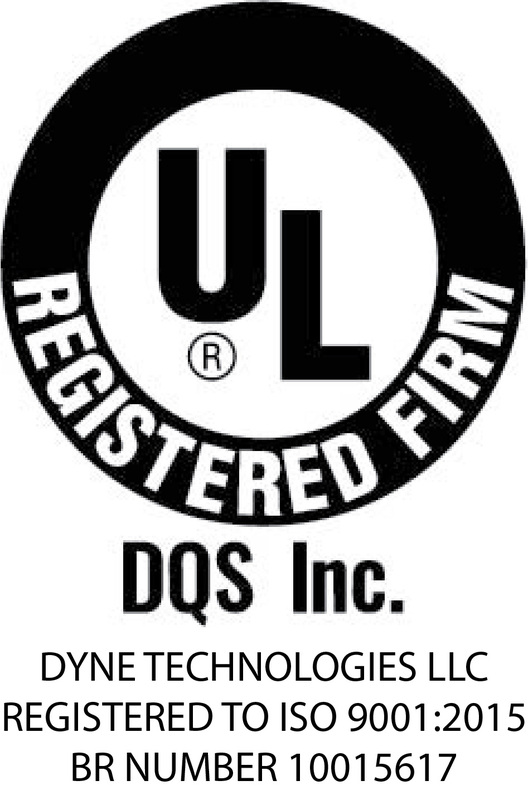 Rest assured, Dyne is still following NFPA 11 guidelines and is still holding foams to the same accountability as before. We hope this new reporting format, however, makes interpreting the results easier.